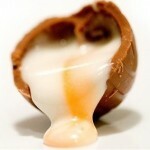 A Cadbury Creme Egg is a chocolate product manufactured in the shape of an egg. The product consists of a thick milk chocolate shell, housing a white and yellow fondant filling which mimics the white and yolk of a real egg. 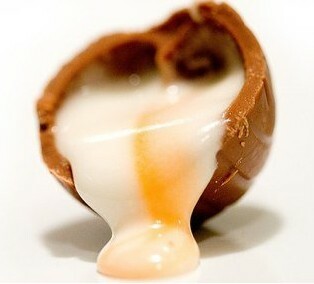 Creme Eggs are the best-selling confectionery item between New Year’s Day and Easter in the UK, with annual sales in excess of 200 million and a brand value of approximately £50 million.